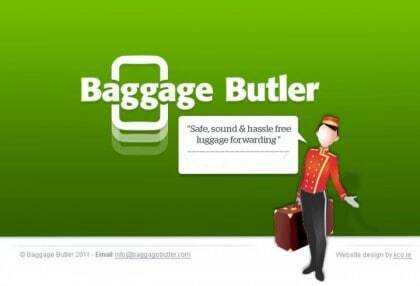 Baggage Butler is a new luggage forwarding service with the sole objective of making airline travel enjoyable again, using innovative logistical planning to get your luggage to you for a low cost, with secure online booking, confirmation and payment. Baggage Butler will pick up golf clubs and luggage with a massive 30kg allowance from any address on mainland UK £59/Ireland €59 and deliver to Malaga AGP International airport in Spain, where the Baggage Butler will track your flight and meet and greet you on arrival with your luggage. If you had to bring 30kgs on Ryanair they would charge £70 stg each way. The airport service is a more reliable than luggage forwarding direct to your villa or apartment, because you would have to wait in for the courier to deliver your belongings in that case. A grocery shopping service is also available at hypermarket prices, so you can start your holiday straight away. Your Baggage Butler is contactable at all times on a local number and when your trip is over he will collect your luggage at departures at a pre-arranged time on you way home to be delivered to your home address. Faro Airport(FAO) on the Algarve will be added in September with more destinations later . “With 25 million bags being mishandled by airlines every year that’s 1 piece of luggage going missing for every 77 passengers” Phil Spencer source SITA Channel 4’s Vacation Vacation Vacation 4th May 2011. There is also an anxiety related to checking in airline luggage. We text you when your baggage is safe and sound at the depot and then your personal Baggage Butler tracks your flight. You can then travel with just hand baggage in the knowledge that your suitcase is waiting for you at the other side. No more last minute packing. Just check in online and breeze on through. Baggage Butler will roll out this format worldwide and is looking for individuals or companies to run local franchises at popular destinations. 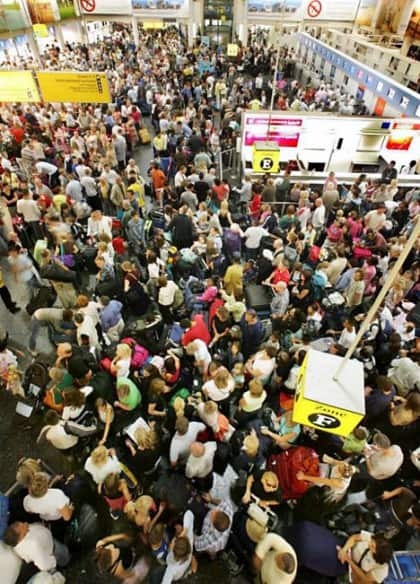 So, if you want to avoid the chaos below, please see the Baggage Butler website.